So I was skiing cliffs than I came in from lunch and noticed this happened. Half the metal on the walk lever broke, so my question is will this affect the flex of the boot ,or can I keep on shredding them? Dude... your boot is broken. Take it to a K2 dealer and have it get properly repaired. Alright thanks for the reply guys I’ve had the boots 3 years and they are to big anyways, the good news is I can justify buying new boots. K2 and Rossignol (outside the black ops and race skis) make some of the worst product i've ever skied on in my life. 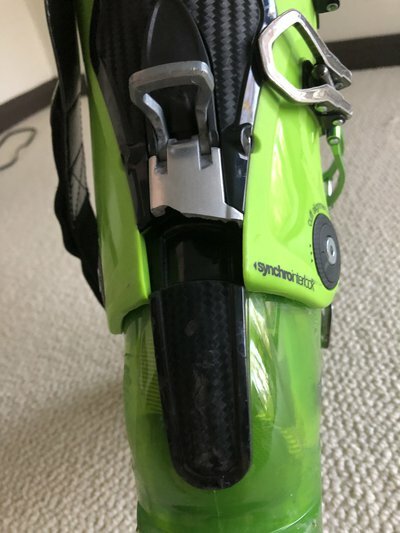 KravtZ K2 and Rossignol (outside the black ops and race skis) make some of the worst product i've ever skied on in my life. And that consists of what?